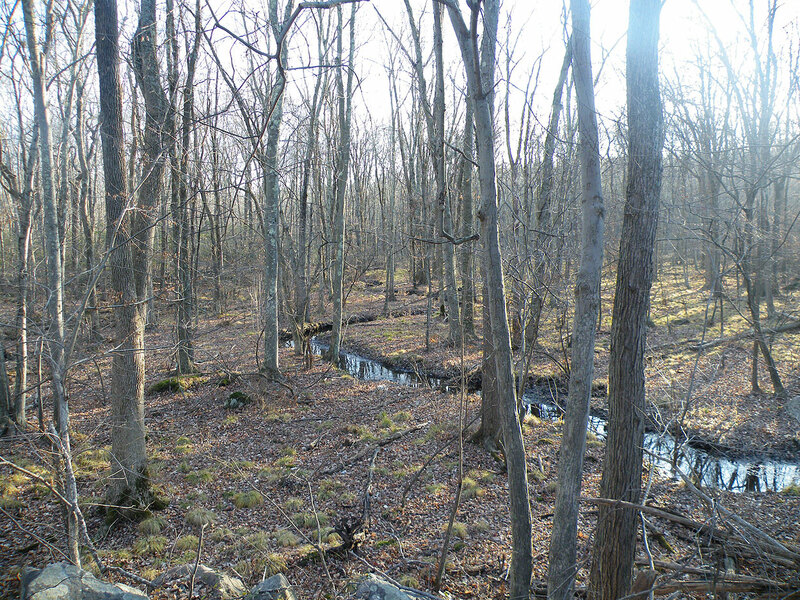 One of the reasons the Land Trust was so excited to acquire its new Red Hill Woods Preserve is the presence of a 3-to-4-acre tussock sedge-red maple floodplain along the two small streams that run across the Preserve. This area is different from most fresh water wetlands in Branford, which are typically densely wooded with a shrub understory. 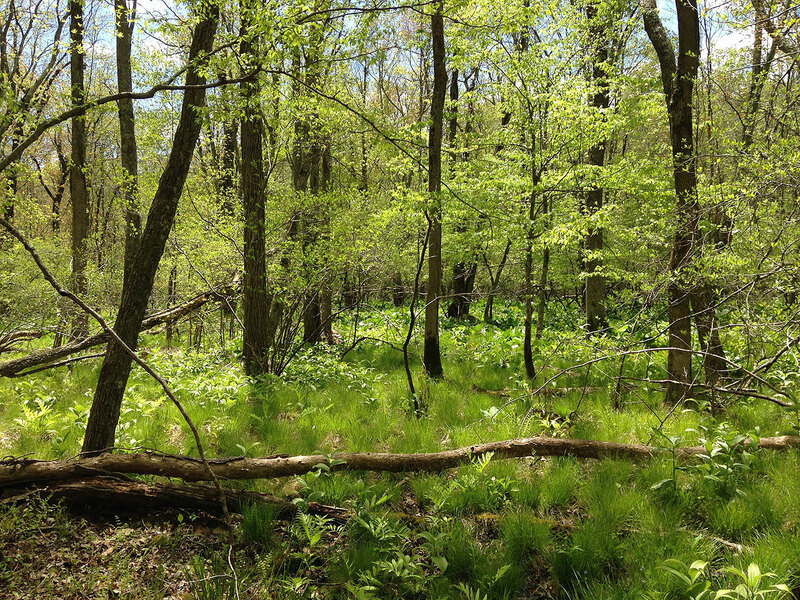 In contrast, in the spring and summer, the Red Hill Woods floodplain wetland is sunny and filled with clumps of sedges, different species of ferns, and numerous leafy herbaceous plants growing beneath a high canopy of widely spaced maples and other hardwood trees. Since acquiring the property nearly a year ago, the Land Trust’s Stewardship team has been active, clearing and blazing loop trails to provide public access and improving the condition of the wetlands and watercourses on the property by collecting and removing more than two dozen car and truck tires and 50+ bags of floatable debris that had been deposited along the streams downstream of I-95 for decades. 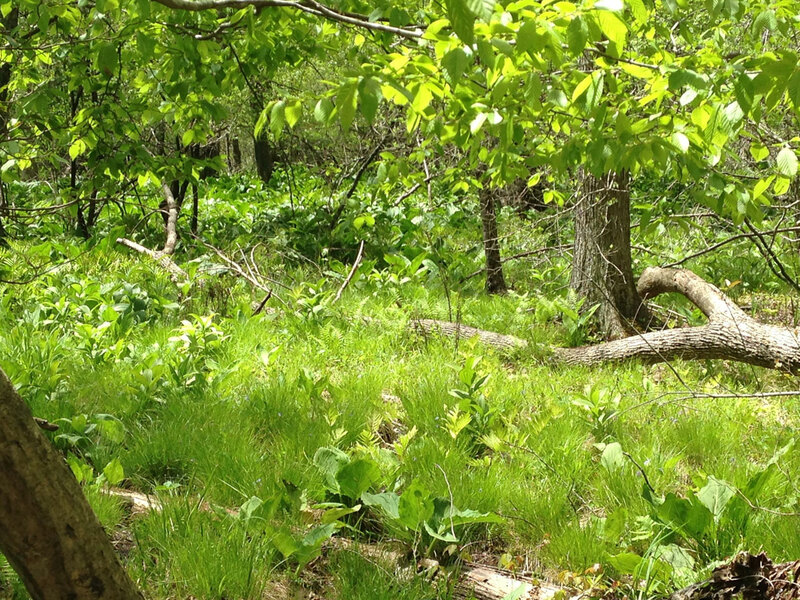 The Land Trust wanted to let students and hikers see this remarkable place up close, but clearing a typical hiking trail across the floodplain isn’t possible because of the intermittent flooding and fragile character of the wetland plants and soils. So, in order to allow public access onto the floodplain, the Land Trust applied for and recently received an Inland Wetlands permit to construct a permanent plank bog walk and two small bridges that will allow hikers and local school children direct access to this unusual wetland community. Construction of the floodplain bog walk is about to begin. 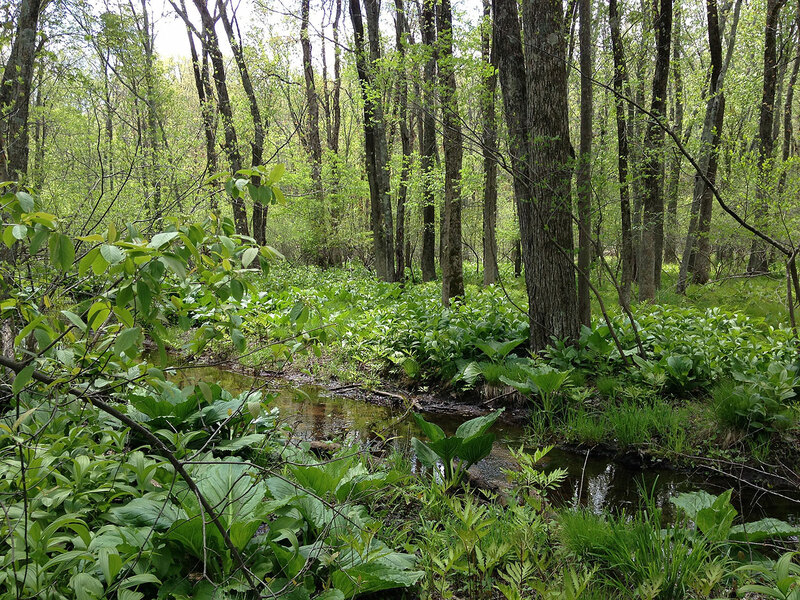 On April 8, students from Quinnipiac University will join Land Trust volunteers to carry more than 200 12-foot 2×8 hemlock planks and 350 cedar logs from Red Hill Road across a neighbor’s property to the edge of the floodplain near where the bog walk will be built. Once the materials have been staged, construction of the plank walk and the two bridges will begin, eventually creating a 900-1200-foot walkway from the Blue Trail across the floodplain and back. We hope to complete the project by midsummer and celebrate the Land Trust’s 50th Anniversary with a ribbon cutting to formally welcome Land Trust members and friends and the rest of the Branford community to this wonderful natural area that will be protected for future generations to enjoy.